Cal Poly 1U or CP1U was a sub-orbital payload designed and developed by Cal Poly Picosatellite Project (PolySat). 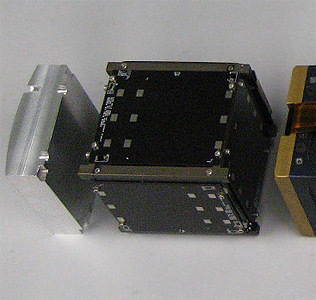 Cal Poly 1U was built to the 1U CubeSat form factor and was battery powered. It tested a communications payload. Cal Poly 1U was flown on a suborbital 8 minutes flight on a Terrier Mk.70 Improved Malemute sounding rocket together with the ADAMASat cubesat test on the SOCEM (SubOrbital CubeSat Experimental Mission) mission.